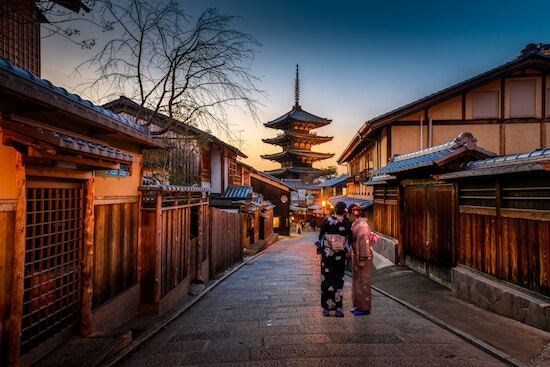 Traveling in Japan might be very popular among travelers all around the world. People are excited to enjoy the combination of the west and east in this country. Of course, there are also so many attractions and great foods which can be enjoyed in this country. Nevertheless, it is sure that people have to prepare a lot of money to travel to Japan because it will not be cheap at all. There is no need to worry because by applying these tips, people can save money while enjoying their travel to Japan. It is true that the train becomes one of the most popular mass transportation chosen in Japan. Many travelers in Japan choose rail passes for supporting their journey. Traveling using the train in Japan can be cost effective if they use it for short trips. However, they should consider using the bus if they want to get the cheaper methods to get around the country. People can find many options of bus companies in Japan and for booking the trip; they can do it online at Kosokubus.com. They even can find the bus pass which can be used for several days. Of course, they must not forget about the overnight bus routes which can be great for saving the accommodation at night. Although people want to save money while traveling in Japan, it does not mean that they can risk their health by eating junk food all the time. This is something which will appear in people’s mind when they are suggested to get the meal from the Japanese fast food chains to save money. In fact, a different term of fast food can be found in Japan. They might think about a bowl full of rice along with the miso soup, crispy dumplings, savory meats, and a glass of green tea. Those are the basic meals in Japan which can be bought with a pretty cheap price. If people want to save money in Japan, it means that they have to be very sensible about the accommodation. To find the cheapest accommodation option, they use the support from Airbnb or HotelsCombined. When people are visiting Tokyo, the cheap accommodation option can be found in Shinjuku or Shibuya. If they are visiting the areas which are less traveled, they should use the guide from the Lonely Planet Japan to find the accommodation needed. The reliable source of help can also be found from the Tourist Information Centers. There is no doubt that bento from Japan is very popular all around the world. That is why when they visit this country, they must not miss the opportunity to get the delicious bento. There is no need to worry about the budget because it is actually a great way to save money when they are enjoying time in Japan. They only need to go to the Japanese grocery stores to find so many options of bento. Besides, they can also find take-away udon, noodles, and sushi for saving money during traveling in Japan.